Though not a company exactly reknowned for their turntable production, NAD’s latest deck looks clean and stylish in a graphite-coloured, curvy-cornered sort of way. 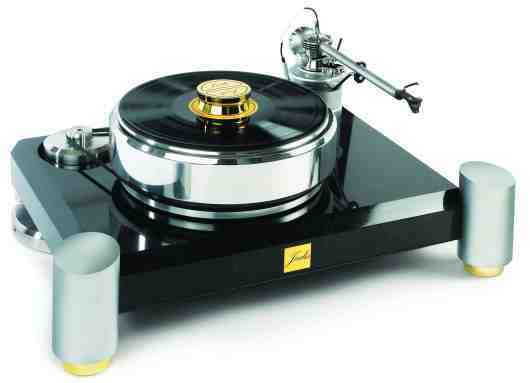 The two-speed, belt-driven turntable sports a built-in tonearm with a 9″ straight tube featuring VTF and Azimuth adjustments. The same tonearm includes a built-in headshell sporting a finger lift. Hanging off the end of that is a very nice Ortofon OM 10 cartridge. The CNC-machined, MDF plinth supports an included dust cover, made from a non-resonant Perspex with a counter-sprung hinge design that allows the cover to remain in almost any intermediate position, from open to closed. Measuring 435x340x125mm and weighing in at 5.5kg, this turntable is not aimed at lifestyle users, but those aiming for sound quality. 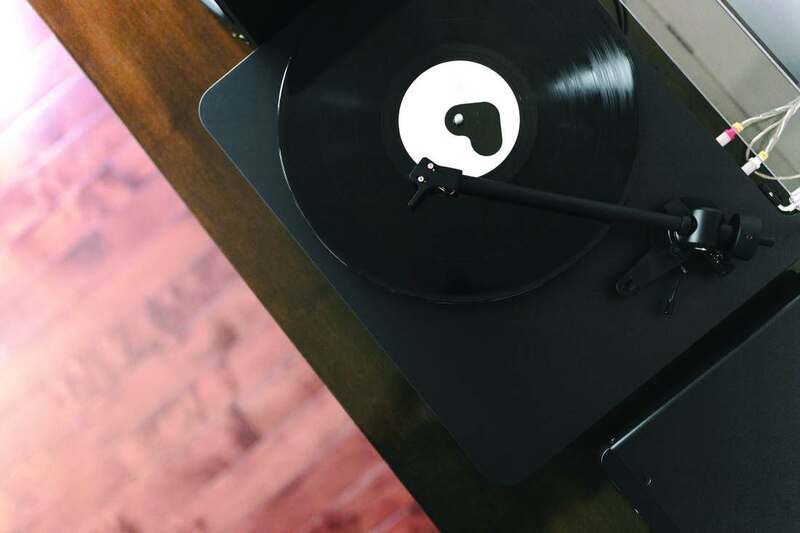 There’s no automatic operation, no built-in USB ports, no built-in phono amps… Supporting your records is a glass platter that gives the turntable a slightly Rega-esque look. That sits upon a sub-platter that holds the belt. The motor and belt are operated by a rocker switch that lies under the front-left portion of the plinth. Around the back are the usual RCA outputs, plus an earth screw, as well as a socket for a wall-wart power supply. That’s the rundown of the turntable, but that’s far from the whole picture. Understandably, because NAD are not known primarily as a turntable outfit and don’t necessarily have years of experience in researching, developing and building turntables of their own, the company has had to go shopping. And in this case, they’ve ended up on Pro-Ject’s doorstep, in Austria. So what we have here is, in effect, a Pro-Ject-like turntable. 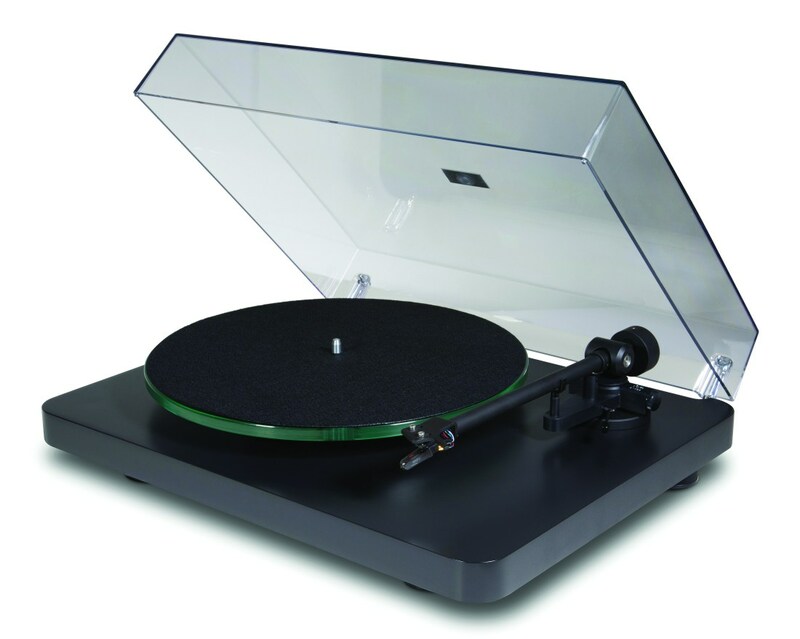 Actually, I should be more specific – this is a turntable consisting of Pro-Ject parts. 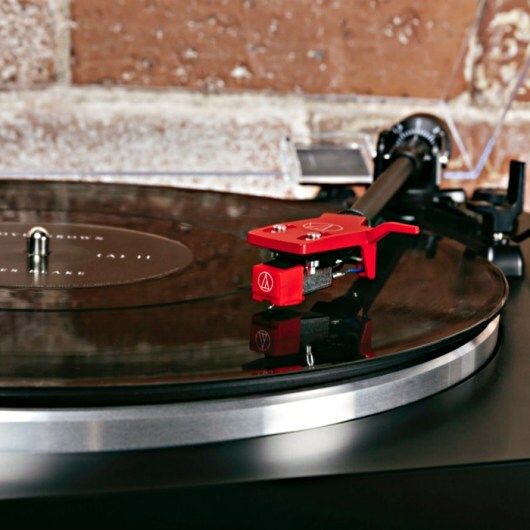 It’s not a rebadge of a standard Pro-Ject turntable. 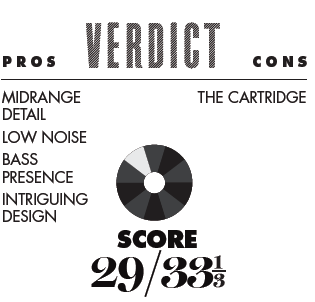 Looking over the final build, though, the choice of parts by NAD – and this is a NAD-governed design – is pretty decent. Examining more closely, it appears NAD have taken a plinth and motor from a Pro-Ject Debut turntable, added rounded corners, tweaked the finish and then added an arm from an RPM-1 model. The core of the arm is based upon the same model used for the RPM-1, right down to the anti-skate control, but the NAD’s arm tube is straight, differing from the RPM-1’s S-shaped model, while the NAD’s headshell is also different. I am tremendously intrigued to see a Rega-like glass platter above the plinth. This is similar to a former Pro-Ject accessory product. It was used, for many years, as an upgrade for older designs. Known as Glass-IT, the platter offered a sonic improvement on older models. I was also interested to see the use of the aforementioned Ortofon OM 10, a cartridge that Pro-Ject use on their £300-£400 turntable designs. 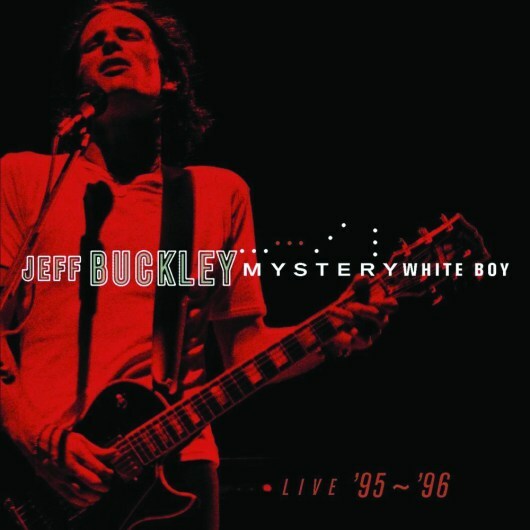 I listen to high-energy jazz from Joe Jackson and full-blown Beatles parodies from The Rutles and notice, with the jazz material, that the NAD sounds full of life, with an animated midrange that provides texture over the entire soundstage – with enough insight into the brass section to signal to the ear there is a group of instruments playing here, not just a shapeless noise. During the rock track, percussion is crisp and powerful, with enough impact to maintain the pace of this lively piece; while cymbal hits allow the treble to extend the reverb admirably. There’s an excellent bass response from the C 558, too. That said, for me, the OM 10 cartridge would be the first component in line for an upgrade. 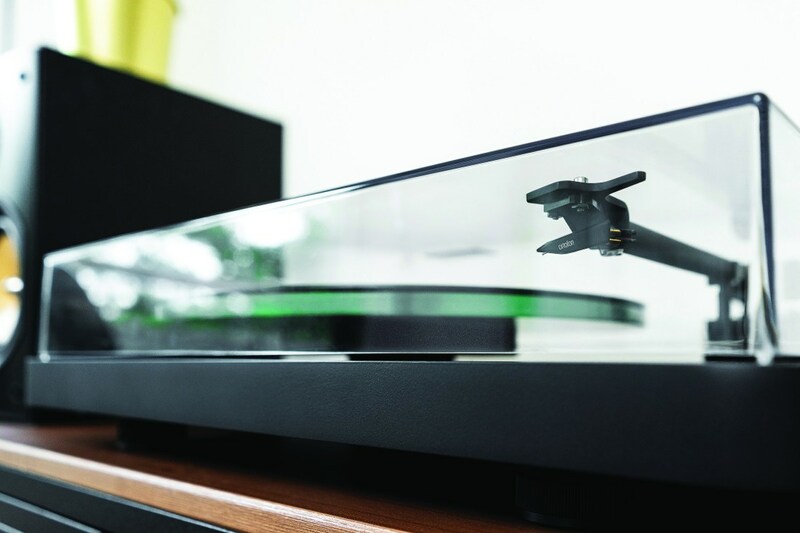 Grab a Goldring E3 (£90) and fit that to the NAD when you can, to make the most of the turntable’s basic design. The NAD C 558 sounds good out of the box and its performance improves further when you invest in an improved cartridge to hang off the end of its tonearm. It goes without saying that all of the Pro-Ject parts used in the NAD’s design are good-quality items in their own right, but the unique NAD recipe put together for the C 558 certainly provides an open, clear and musical performance.